The first thing that caught my eye was the cover for Stone Rider. I loved the cracked look of the cover that depicts the hardened landscape of the books setting. The title stands out beautifully in stark contrast of color and texture. This is such a great cover and so unique compared to the many YA books out there. Well let's just say that I read this book in one night, in one sitting. It grabbed my attention immediately, and didn't let go until the last page was turned. The world that David Hofmeyr has created in Stone Rider is extremely unique and well wrought. This setting of the old-west meets a futuristic burned out world where the people try to win a pass by winning the Vodden Circuit or earn enough points by winning other smaller races to earn a ticket to Sky Base. This is supposedly a man-made "paradise" above earth where the air is clean and the people live MUCH longer. It is where everyone left on earth wants to go, though no one who has ever earned a ticket has ever come back, so the people on earth don't REALLY know what it's like up there. Hofmeyr has even included parts of "The Rider's Code" at the back of the book, which I loved, as I could refer to that anytime I needed a bit of explanation as to the working of the "bykes", these incredible biomechanical entities that are passed down from parent to child. The way the "swing" is preformed, a kind of deadly sling-shot and weapon of choice in this world and during the circuits(or races). I found it to all be so fascinating and unique, and yet completely believable. This leads to the writing. Hofmeyr has a way of writing...his world building, characterization, and those edge of your seat moments that I really feel made this book work so well. I don't think another author could have taken this same concept/world and made it seem like it actually exists somewhere, which is how I felt while reading. I loved the characters! Adam, Sadie, and especially Kane(As I knew so little about him and he was such a mystery!). They each have their own struggles and secrets, which made the book that much more suspenseful. All in all this is one of my favorite books ever, and though I don't know yet whether a sequel is coming...I honestly feel that it works so perfectly as a stand-alone. Though as I am a greedy reader of this amazing world that Hofmeyr has built, I would most definitely pick up a sequel, companion novel, or ANYTHING that he writes next! I truly believe that everyone should give this book a chance. 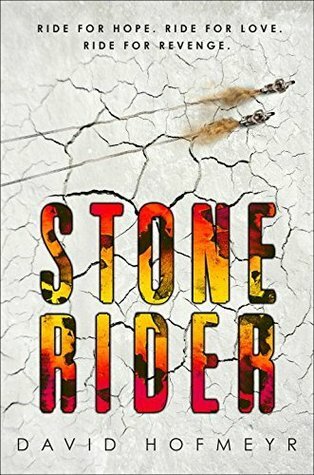 It is so surprising in its depth of emotion and suspense...I just can't recommend Stone Rider enough! One hardcover copy of Stone Rider by David Hofmeyr courtesy of Delacorte Press! Sounds like a good book to me. I'll add it to my list. Thanks! I really loved this book...it's just so unique...which is sometimes hard to find in YA. 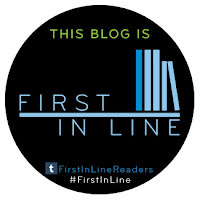 Though I have been reading some really great upcoming titles lately that I can't wait to share with you all! Your welcome! I also love to read other book review blogs. Sometimes I read a great review of something that I never thought I would have liked, pick it up, and end up up LOVING it! I enjoyed your review and it has made me very interested in reading Stone Rider.